Does Lack of Sleep Affect Mental Health? 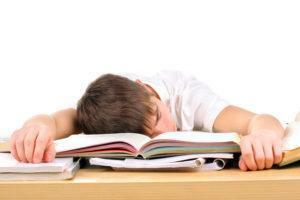 Every parent with teenage children worries that they aren’t getting a good night’s sleep most nights, but staying up late and not getting enough sleep are generally considered to just be one of those “things teenagers do.” When you add to that the fact that research has shown that teenagers are biologically hardwired to stay up late, many parents simply give in and stop trying to get their teens to spent more time sleeping and less time texting, skyping, and gaming. But new research may encourage parents to take a stronger stance when it comes to getting their teens to be more serious about sleep. This research was authored by a professor from the University of Bologna in Italy and utilized data gathered during interviews with more than 12,000 teens from 11 different countries in Europe. In the interviews, participants were asked about their sleep habits, how much sleep they got on average each night, and inquired about their emotional state. The analysis of all this data indicates that there may be some connection between the amount of sleep a teenager gets and their mental health. While no cause and effect relationship can be determined because of the study’s design and the need for additional information, the results seem to indicate that getting less sleep may increase the chances of a teenager experiencing suicidal thoughts, depression, anxiety, and other emotional problems. The research indicated that teenagers who admitted they had experienced suicidal thoughts were very likely to be getting around 36 minutes less sleep each night than those who did not have suicidal thoughts. Additionally, teens that had been diagnosed with severe emotional problems slept about 30 minutes less than their peers on average each night. These initial findings may help direct future research initiatives geared towards more clearly defining the relationship between sleep and emotional distress in teenagers. It will be important to gain a clearer picture of whether or not sleeping less is a sign of emotional problems or if not getting enough sleep contributes to the development of those problems. However, based on other recent findings in sleep science, the best approach for parents is to encourage their teenagers to make sleep a priority and to develop healthy sleep habits. While it may not be clear yet if lack of sleep can contribute to depression, we already know that it can play a role in major health problems like obesity and diabetes. Parents can support their teens by encouraging them to follow these sleep hygiene guidelines. Don’t do anything except sleep while in bed. Leave electronics including laptops and cell phones in the other room when it is time to go to bed. Develop a bedtime routine that helps signal your body that it is time to go to sleep. Make sure your bedroom is conducive to sleep and devoid of excess light and noise. Keep your room at a cool yet comfortable temperature to help encourage your body to fall asleep.